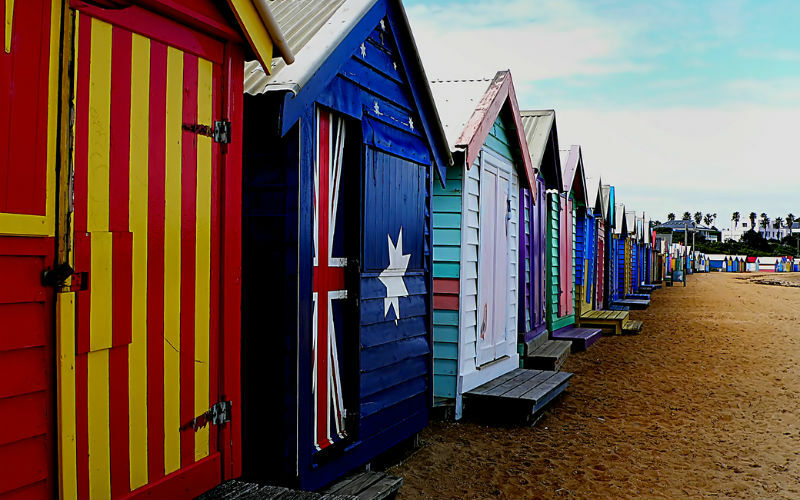 Though best known for its coffee, food and cultural scene, Melbourne also has its fair share of charming beaches. From family-friendly swimming spots to fishing and boating havens, check out 10 of the city’s best beaches below! 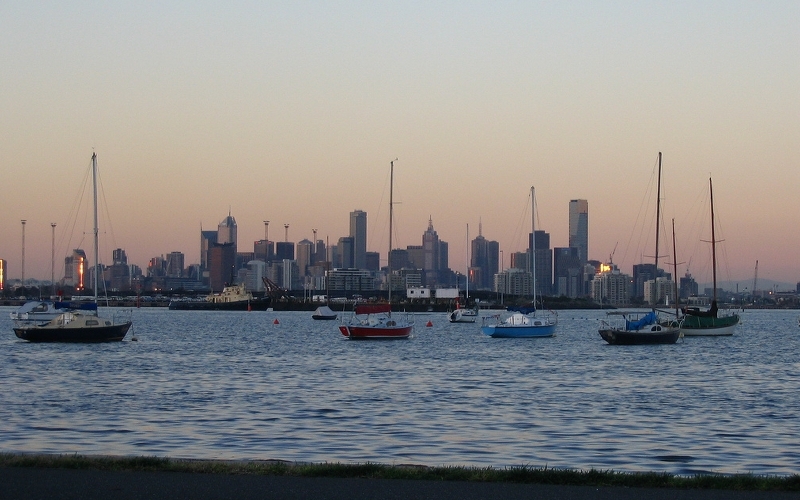 We’ll start off with Melbourne’s most famous beach: St Kilda. Situated just six kilometres from the CBD, the bayside suburb of St Kilda is a favourite haunt among both locals and visitors. St Kilda Beach offers good swimming, surfing, sunbathing and fishing opportunities, while the network of paths and boardwalks lining its foreshore also make this beach perfect for walking, cycling, jogging and rollerblading. Famous attractions such as Luna Park and the historic St Kilda Pier (built in 1853) only add to its appeal, while the vast number of cafes, restaurants and bars found nearby make this an awesome beach to visit at any time of year. St Kilda Beach, Australia. Image Credit: Bex Walton / CC by 2.0. Just a six-minute drive down the coast will bring you to Elwood Beach, a 1.3-kilometre stretch of sand with calm waters that are perfectly suited to pool-style swimming. 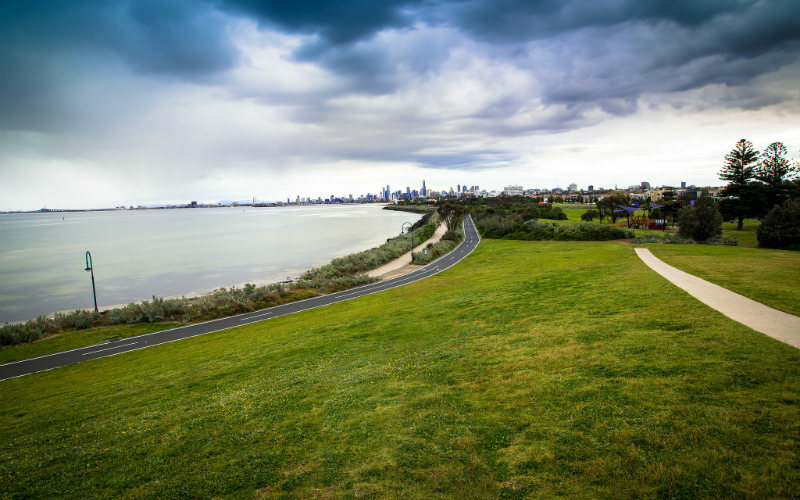 Those who prefer to stay dry can take in the scenery – which includes views of the Melbourne CBD, St Kilda Beach, and sometimes the Spirit of Tasmania docked at Port Melbourne – while following the Bayside Trail bike and running track. Family-friendly amenities such as barbecues, picnic tables, playgrounds, grassy fields and cricket nets can all be found nearby, and Point Ormond also offers a good selection of cafes and restaurants for those looking to sit back and unwind. Elwood Beach, Australia. Image Credit: Terry Chapman / CC by NC ND 2.0. About 30 minutes from the CBD lies the quiet, crescent-shaped shoreline of Half Moon Bay. 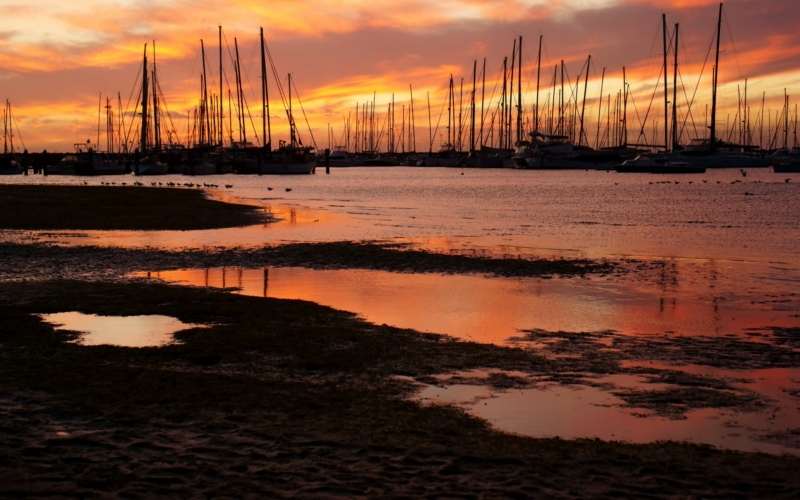 Home to the Black Rock Yacht Club, this sheltered bay is a popular destination among boating and fishing enthusiasts. It’s also the final resting place of the HMVS Cerberus, a 19th-century battleship which now acts as a breakwater and artificial reef structure. Covered with a range of marine invertebrates and algae, this vessel has become a leading attraction for local snorkellers. The surrounding waters also house a variety of fish species, as well as sea stars, urchins and anemones, blue-ringed octopuses, and even the odd cuttlefish and squid. Bring your snorkelling gear for a fun day out, or enjoy some refreshments with a view at the Cerberus Beach House and Kiosk. Half Moon Bay, Australia. Image Credit: Geoff Penaluna / CC by 2.0. No “best beaches” list would be complete without mentioning Melbourne’s most photographed beach. Some 20 minutes from the CBD, Melbourne’s skyscrapers provide a dramatic backdrop to the beachgoers playing in the clean, shallow waters of Dendy Street Beach. The northern end of Dendy Street Beach is famously lined with 82 wooden bathing boxes, all painted with unique colours and designs. 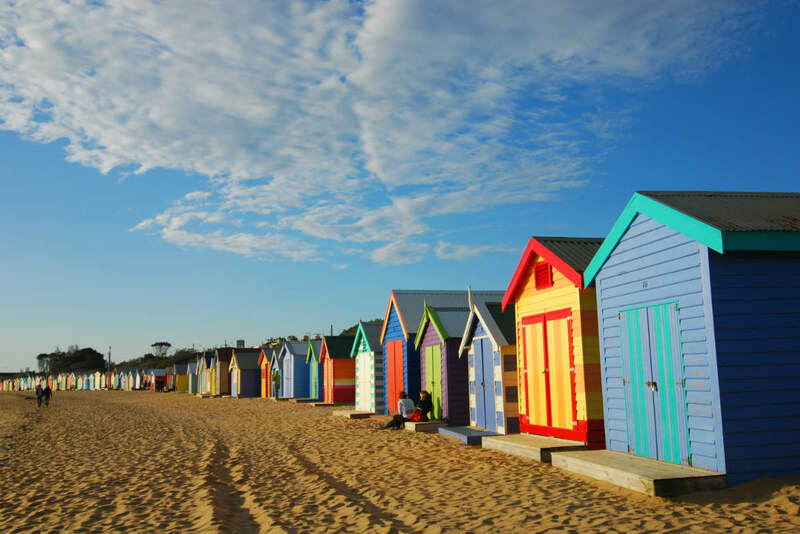 Bringing both history and personality to this already scenic spot, the Brighton Bathing Boxes are both an icon of Melbourne and a timeless tourist attraction. Picnic spots and barbecue facilities can also be found in the grassy reserve behind Brighton Beach, next to the walking and cycling path. 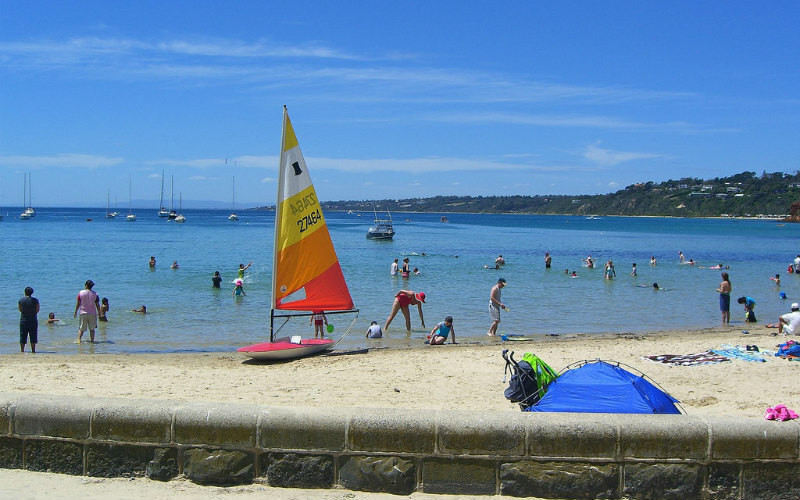 Located in Mornington, Mothers Beach is known for its family-friendly atmosphere and scenic, yacht-speckled harbour. Framed by towering cypress trees, this north-facing beach includes a boat ramp and pier which lead onto safe, sheltered waters. An excellent seafood and steak restaurant looks out over the marina, while barbecues, picnic facilities, public toilets and outdoor showers are all located down by the sand. Those looking to get active can hire a canoe, kayak or stand-up paddleboard, and there are also plenty of playgrounds, football ovals and parks just a short stroll away. Mother’s Beach, Australia. Image Credit: Alpha / CC by SA 2.0. 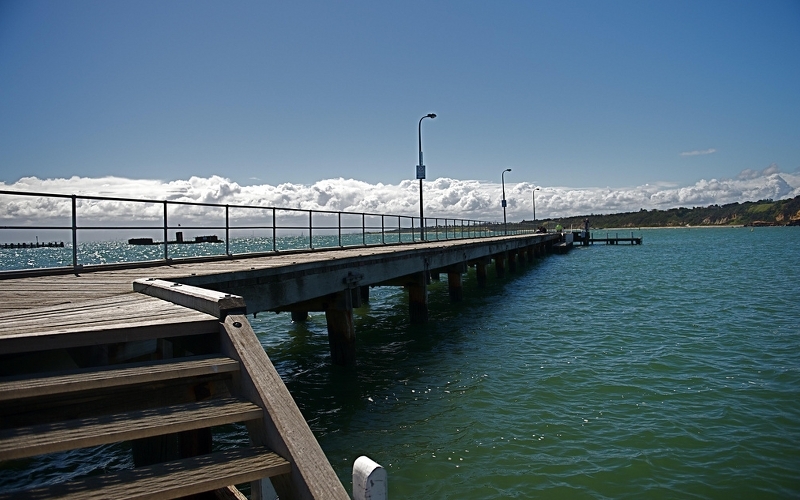 Roughly 25 minutes from the CBD, Williamstown Beach is a wide, sandy beach which features an attractive commercial precinct and well-designed foreshore reserves. Williamstown is the perfect beach for both deep water swimmers as well as those who prefer to paddle in the shallows. Time your visit with the monthly Williamstown Craft Market to browse a wide range of food, art and craft stalls. Make use of the beach’s barbecue and playground facilities, or go for a stroll through the beautiful Williamstown Botanical Gardens, located just a stone’s throw from Williamstown Beach. Williamstown Beach, Australia. Image Credit: Anne Beaumont / CC by SA 2.0. Just under two hours’ drive from the city, Sorrento Ocean Beach is a beautiful spot perched near the tip of the Mornington Peninsula. 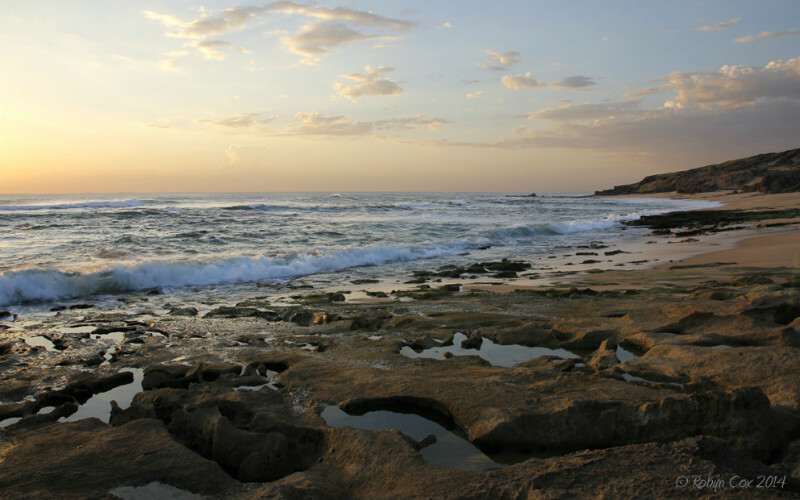 This beach lies in a natural amphitheatre and is backed by a lush, forested headland. Sorrento Ocean Beach is extremely popular during summer, offering clear waters that are perfect for snorkelling, and unique rock pools that form at low tide. You’ll find a cafe and surf lifesaving club near the main car park, as well as the starting point of several walking tracks. Coppins Track highlights the history of the area during a scenic, three-kilometre clifftop walk to Diamond Bay. 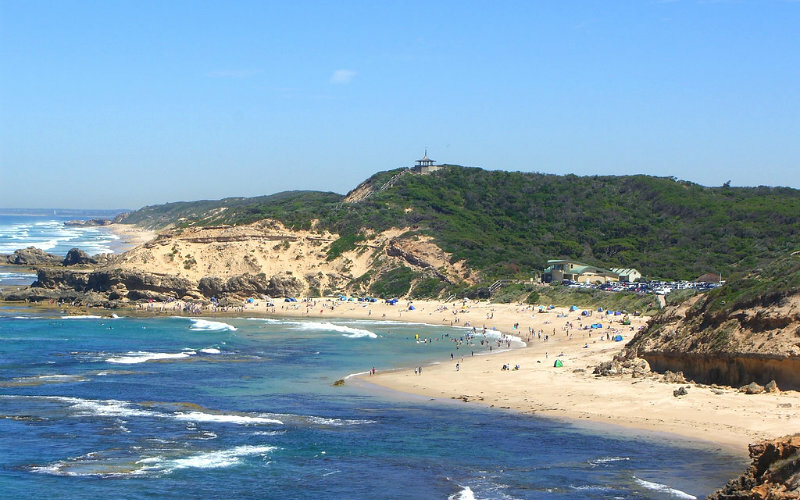 From Coppins Lookout, follow the steps down the cliff face to discover rocky ocean platforms and stretches of sandy beach. Sorrento Ocean Beach, Australia. Image Credit: Alpha / CC by SA 2.0. 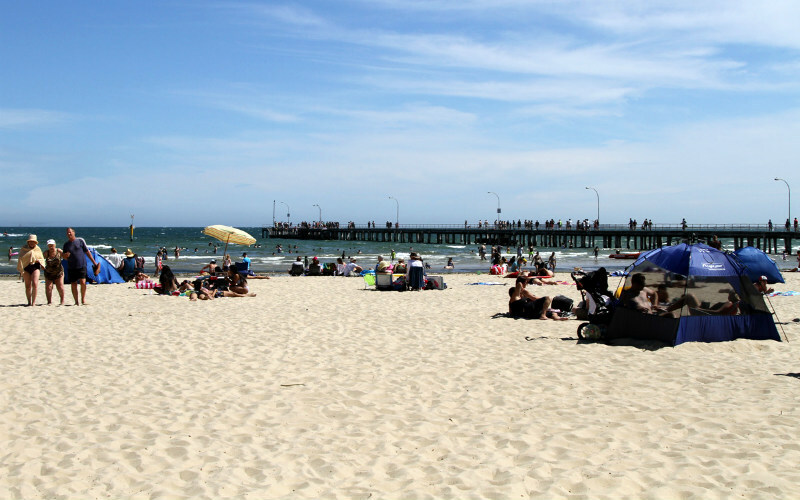 Altona Beach is a great spot for those seeking a relaxing day on the shores of western Melbourne. 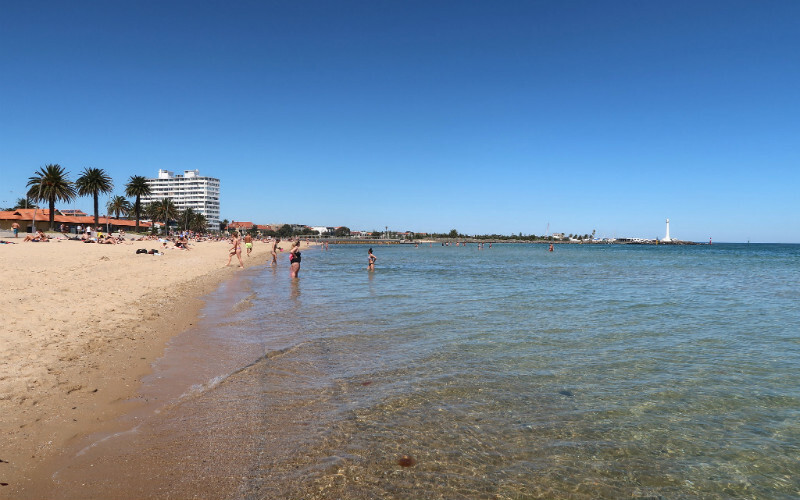 With its dedicated boat-free zone, Altona Beach is a popular spot for swimming, volleyball, and watersports such as kitesurfing and paddleboarding. The beach is patrolled during summer, and also offers jetties and a six-lane boat ramp for boating and yachting enthusiasts. Boasting free parking and easy access to public transport, as well as restaurants, cafes, barbecues, playgrounds, and leafy parks with public amenities, Altona Beach is a fantastic destination for the whole family. Altona Beach, Australia. Image Credit: John O’Neill / Public Domain. Surfing fanatics visiting Melbourne can’t go past Gunnamatta Beach, on the Mornington Peninsula. This exposed beach is three kilometres long, and features rip-dominated surf with waves averaging almost two metres in height. Although this powerful swell means that swimming isn’t the main drawcard here, the rocky reefs, deep rip holes and gutters of Gunnamatta Beach provide wonderful opportunities for beach and rock fishing. The vast and rugged landscape also makes a stunning backdrop for those walking along the coast towards Boag Rocks, Cape Schanck, or Fingal. Visitors can find two toilet blocks and two large car parks just off Truemans Road. Gunnamatta Beach, Australia. Image Credit: Robyn Cox / CC by SA 2.0. The beachside suburb of Hampton is best known for the retail strip of restaurants, clothing stores and boutiques lining Hampton Street. Not far from here, Hampton Beach offers a stretch of pristine sand bordering gentle waters that are ideal for swimming. Throughout the foreshore reserve, barbecue, playground and picnic facilities are sprinkled between palm trees, landscaped lawns, and a walking and cycling path. Walk to the southern end of Hampton Beach, where the coastal cliffs offer panoramic views of the bay, or follow Hampton’s 17 km arts trail to celebrate the artists who have painted this beautiful coastline over the years. Hampton Beach, Australia. Image Credit: Mark Heath / CC by NC 2.0. Want to check out Melbourne’s best beaches for yourself? Find flights to Melbourne, hotels and more with Webjet! Image Credit: udeyismail / CC by SA 2.0.